On Sunday 2nd September we hosted our first ever “Play For A Cure” charity day in aid of Cancer Research UK, and what a fantastic day it was. 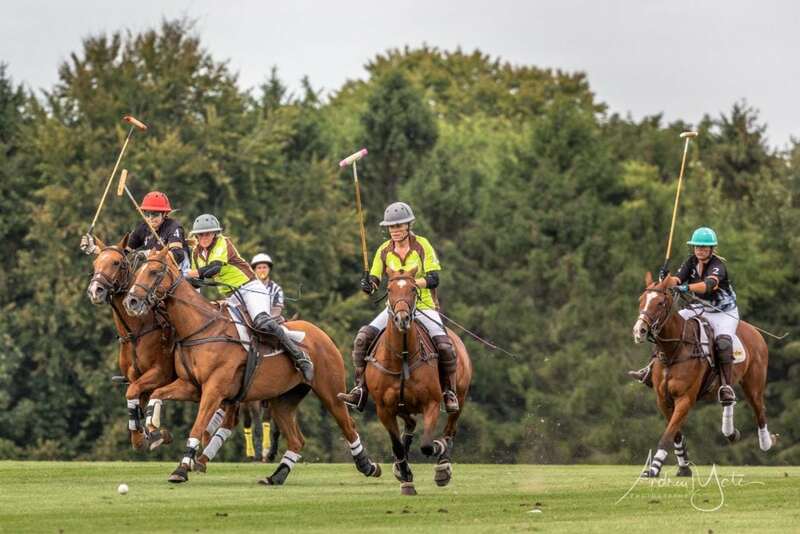 We had some brilliant trade stands, some truly thrilling polo, a great turn out and, most importantly, we raised over £3,000 for Cancer Research UK. Many “thank you”s are due but here are just a few, in no particular order. 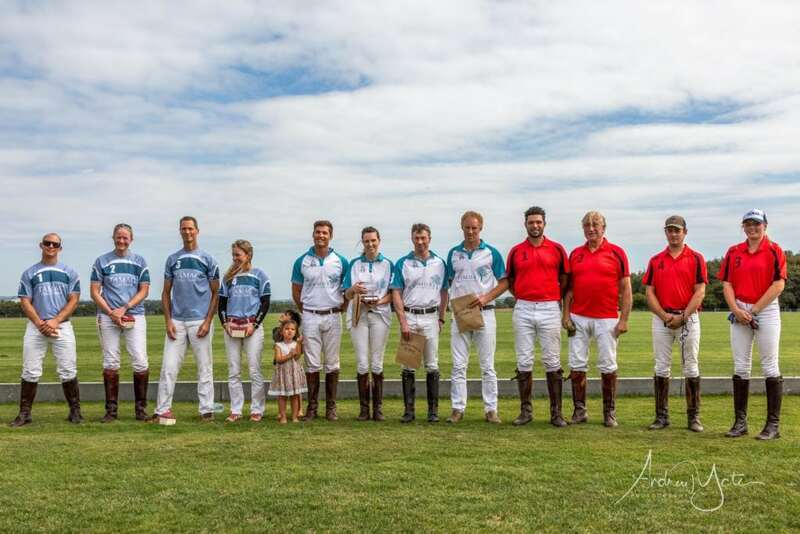 Thank you to our wonderful photographer Andrew Yates (see a selection from the day below, the rest are on his website), sponsors WIP and Hook Polo, all our wonderful trade stands, the players who gave their time to put on a great show for us and to our medics who donated their time for this important cause. 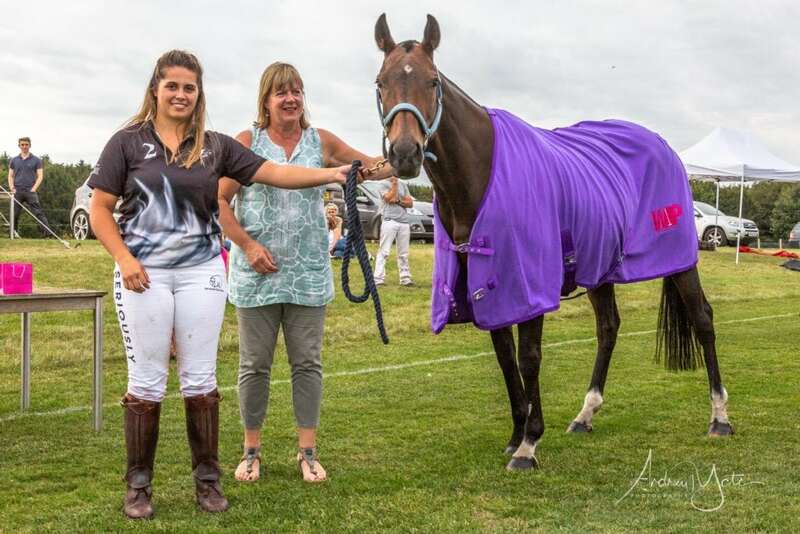 Finally a special thank you and a big well done to Tasha Ball, Tash originally asked us several months ago if we could put on a day of polo to raise some money for Cancer Research after her mother was diagnosed with breast cancer. Of course we jumped at the idea and Tash went on to put a lot of time and effort into helping to organise and run the day, well done Tash, we’re very proud of you and we hope your mum makes a complete and speedy recovery! 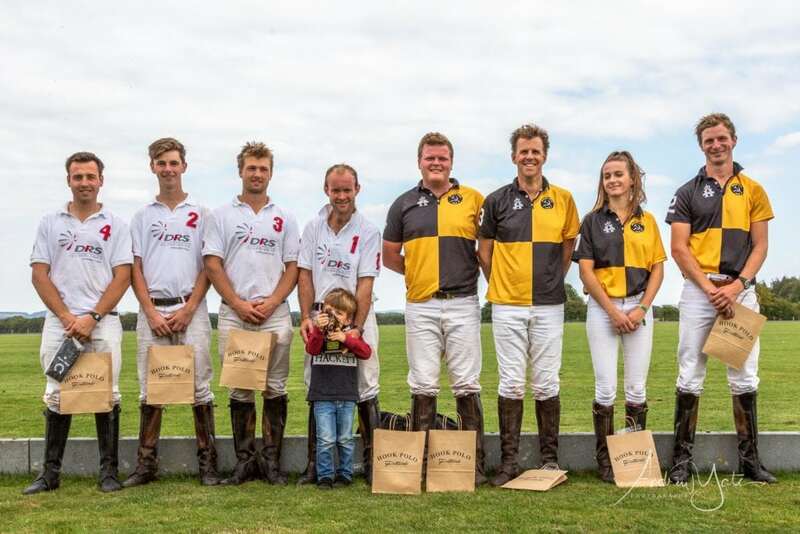 The 8 goal Mother’s Heart Trophy followed next, a very exciting and fast paced game between Druids Lodge and Fairhaven, kindly sponsored by Hook Polo. Fairhaven got off to a strong start putting themselves ahead by 2 goals to 0 in the first chukka and extending their lead in chukka 2 with Sean Wilson Smith putting away another couple of goals and Eden Ormerod of Druids Lodge getting one back for his team to make the score 5 – 1 at half time. Druids Lodge came out fighting in chukka 3 and some great positioning and marking from Jazz Stanhope-White allowed them to slot away a couple more goals. Unfortunately it was never going to be enough with goal scoring machine Wilson-Smith continuing to notch up a cricket score, the final bell went with Fairhaven running out the winners by 8 goals to 4. It came as no surprise when Sean Wilson Smith was awarded the Polo Times Most Valuable Player Award. 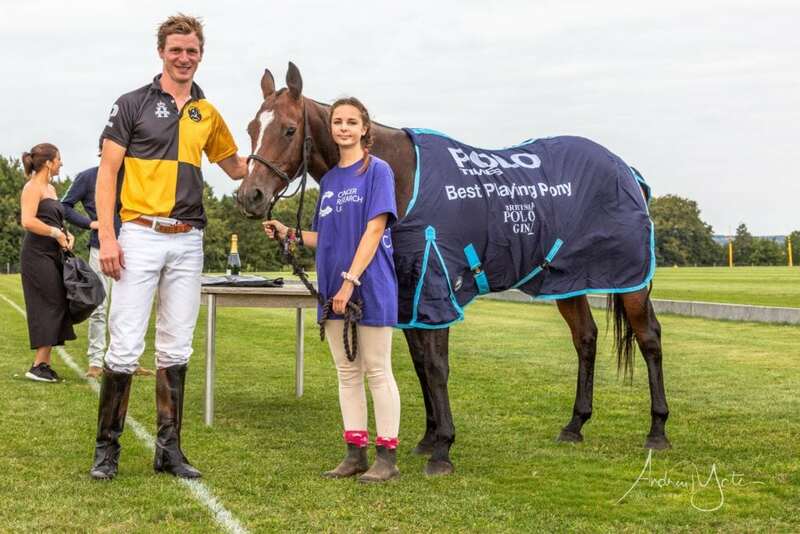 Eden Ormerod’s horse Marsa, a Druids home-bred, was announced Best Playing Pony and awarded a Polo Times BPP rug. 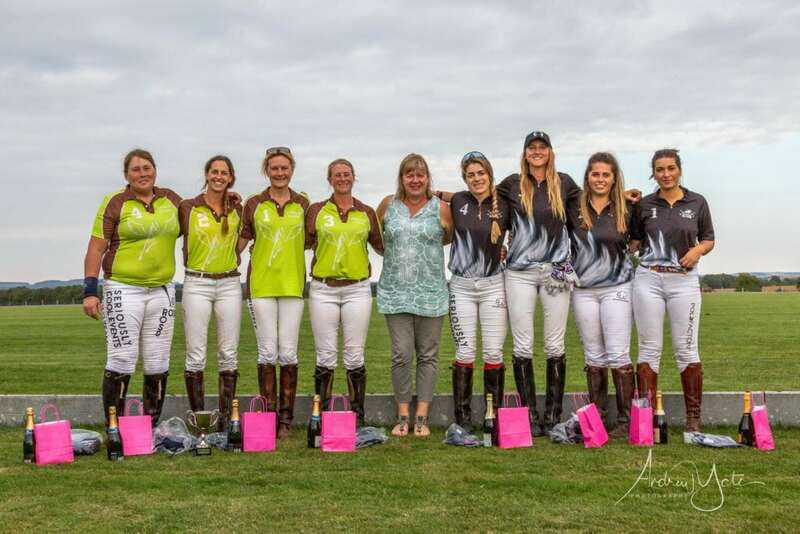 The day culminated with the WIP Vera Cup, a ladies 17 goal match between Hampshire Polo School and Fyfield Flyers. HPS were first out of the gates with Lolly Stanhope-White scoring a brace of fantastic field goals putting them ahead by 2.5 goals to 0 at the end of chukka 1. A quick between chukka pep talk amongst the Fyfield Flyers took place and they came out for chukka 2 with a new game plan, which certainly worked! Four goals put them just ahead at half time when the crowds swarmed out to stomp the divots. 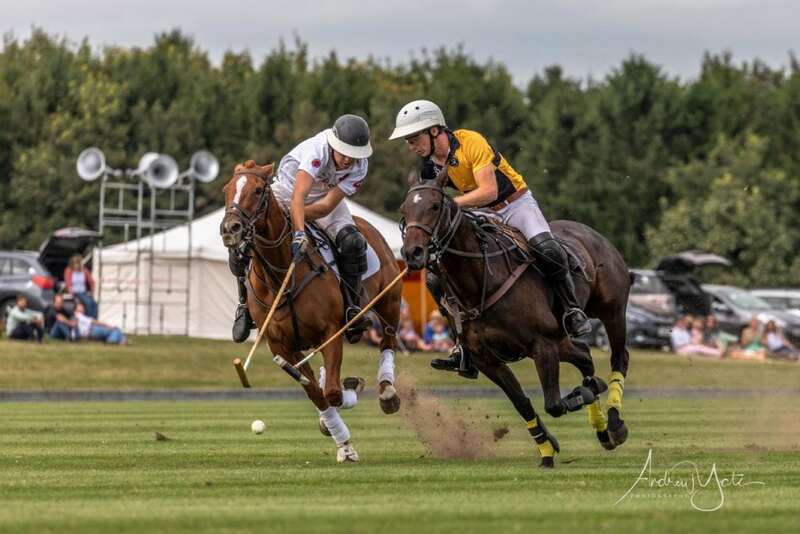 The second half was a strong show of defence with Hampshire Polo School well and truly pegged by the Flyers. Clare Macnamara for Fyfield Flyers ran the ball and put a beautiful goal between the posts and extending their lead. Rosie Ross then converted a penalty to secure victory for the Flyers, also taking away the WIP and Polo Times Most Valuable Player award. The score at the final bell was 6 – 3.5. 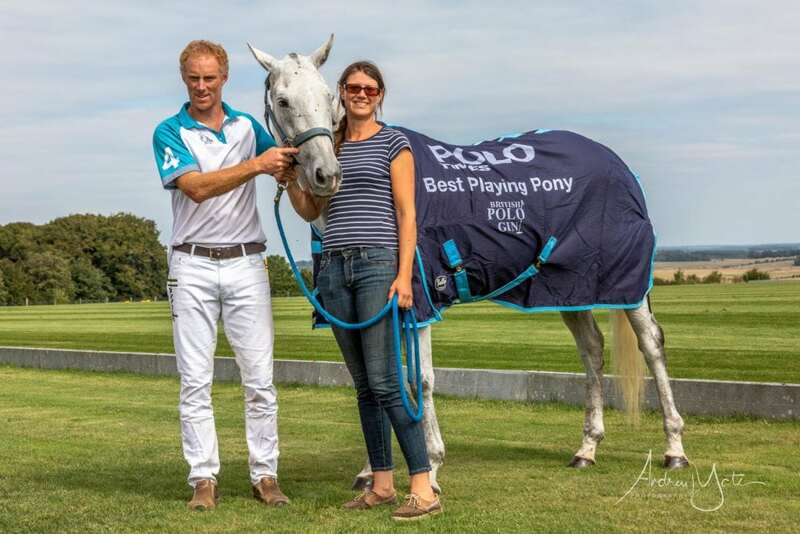 The Polo Times Best Playing Pony Rug went to Lolly Stanhope White’s Princess.